Roofing - Volpe Enterprises, Inc.
Roofs are an important part of a home’s maintenance plan. The roofing system of your home is the first line of defense against the rain, snow, wind and sun that are all part of the weather patterns here in the Tri-State Area. The roof’s job is to protect the structure, your belongings and, most importantly, your family from the elements. It is the largest, most complex and most important structural system in your home. So when you find it’s time to replace that roof, Volpe Enterprises, Inc. has qualified craftsmen to install all types of roofing from well known manufacturers like CertainTeed. Stop by our showroom to see samples of metal, slate, and architectural fiberglass shingles, learn about warranties offered, and experience personalized service with customer satisfaction in mind. Volpe Enterprises, Inc. has been a locally owned and operated company since 1970. 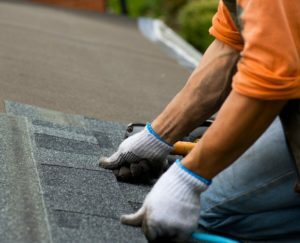 We carry the best in roofing materials and we proudly employ only the most qualified installers in the industry to make sure every job gets done correctly and efficiently. The Volpe Family has built the business on the motto: Quality, Honesty, Integrity. Our detailed written guarantee is provided with every free estimate. Volpe Enterprises provides only the highest quality workmanship, using the best materials in the industry. On top of the manufacturers’ warranties that come with all of the products that we use, Volpe Enterprises provides you with our own Limited Workmanship Warranty. We invite you to also review our work, and if you find that there is something with the project that you are not satisfied with, we will correct it to professional standards, at no cost to you. When it is time for a new roof, you can count on us to remove the existing roof and replace it with a new one. Our experts will inspect your roof and explain the different roofing options that will suit your home and budget. At Volpe Enterprises, we can fix roofs with leaks, shingle damage, rotting wood, vent damage, and more. 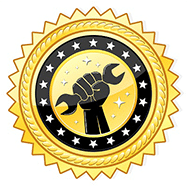 Our experts will diagnose your problem and fix it right the first time so you won’t have to worry about it again.